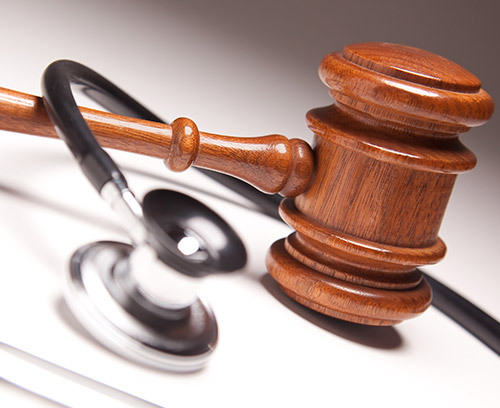 Our lawyers will also represent you in personal injury cases don’t wait. Allow us the opportunity to represent you in your case. Find out how much your case is worth. Go with a trusted attorney who knows accident and personal injury law. Tim is ready to serve you in the court of law. Tim is diligent, knowledgeable, and a strong advocate for his clients. Mr. McDonough was very helpful in resolving my hit and run case. He was very knowledgeable about the law and very easy to talk to and understand. He full explained everything to me. I would highly recommend him and his staff to anyone. Great injury Attorney. I refer him to my family & friends. Everyone I've referred to Tim had been very pleased with their outcome. Tim helped me a great deal when I needed it most. I would recommend him above all others in the area. He's now a great friend as well. Mr . McDonough took the time to review my case, answered my questions and kept me informed throughout the entire process. Extremely talented attorney who cares about his clients and his firm. He got me the maximum on my case. Mr. McDonough is a PIT BULL when it comes to negotiation.Thanks for all your hard work. Extremely talented attorney who cares about his clients and his firm. Truly appreciated his efforts keeping in mind the welfare of my son and I. All of my bills were paid and I received money for out of pocket expenses and I received money for my injuries, pain and inconvenience. By the time that it was over, I also received more for my car than I paid for it because it was worth more than I paid two years earlier. One of the best auto accident attorneys in the area. Tim has a thorough understanding of the law. I found the staff to be professional and courteous. I chose Tim because he is local and because he had many years of experience and expertise at personal injury cases and because dog bites are often the most difficult cases to pursue and settle. I am glad he did as he settled my case more than satisfactorily. He was on top of everything from start to finish and I couldn't be happier with the outcome. Please do yourself a favor and contact him if you're ever in need of an attorney. Wonderful Attorney. With a lot of valuable experience. My family & I have been going to him for many, many years. I wouldn't go anywhere else I highly recommend him. He is the best in the area. All my medical bills were paid for and I got a nice settlement for myself after everything. All around great attorney! Our lawyers are patiently waiting to assist you with your case. Here is a list of our full attorney practice areas. Personal injury attorney Tim takes tough stand against negligence. We have the legal expertise to get you compensated. Car accident attorney with over 30 years experience as an auto accident lawyer. We know what it takes to win your auto accident case. Motorcycle accident lawyer that will go above an beyond for you and your bike. A motorcycle accident can have devastating results get compensated. If you were side swiped or rear ended by a semi truck give us a call. 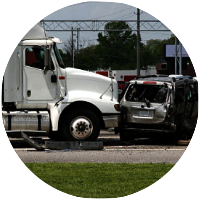 Accident victims injured by a negligent truck drivers get compensated. 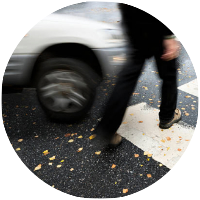 Pedestrian hit by vehicle attorney for injury, bodily harm, or medical bills. Pedestrian, skateboard, bicycle if you were hit by a vehicle call us now! Dog Bite Attorney involving vicious animal attack bite or scratch. For an experienced dog bite attorney get compensation now. Insurance companies can be difficult to work with even when you have the coverage. Allow us to get you the settlement you deserve. We can help with any accident injury victims. Including but not limited to slip-and-fall, bicycle accidents, and many more accident injury cases. 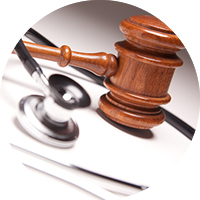 Our lawyer will represent you in civil litigation and personal injury case. 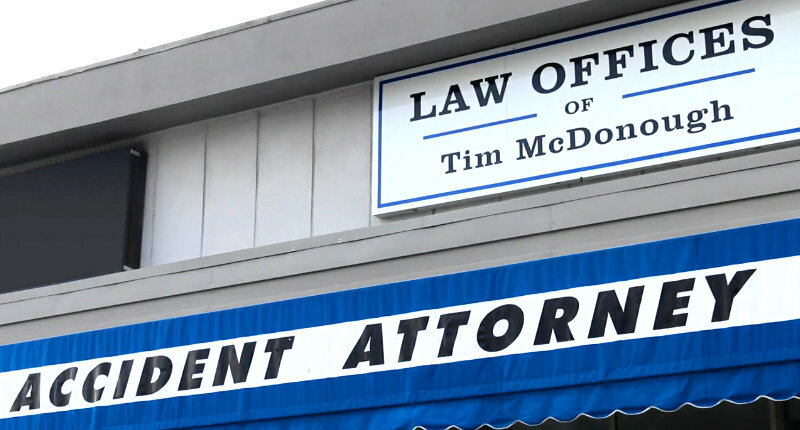 For over 30 years Accident Attorney Tim McDonough has been local accident attorney representing car accident victims. From start-to-finish Tim McDonough will work diligently to win your auto accident case. 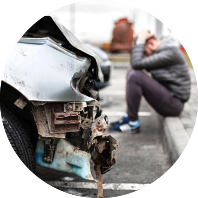 Car accident injuries include neck injury, back injury, spinal injury, broken bones, loss of limb, brain damage, head injury, chronic pain, and more. 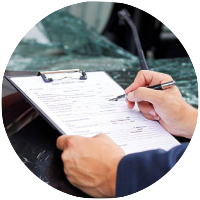 Compensation includes damage(s) to your vehicle, property, medical bills to injury from car accident, pain and suffering. Car accidents come in many forms, allow our law office the opportunity to help with your case. 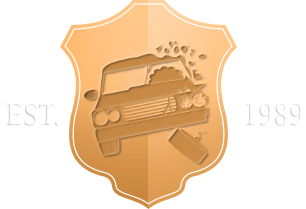 When a truck or car hits a motorcycle it can have disastrous results. Most times the other driver is at fault due to negligence behind the wheel. 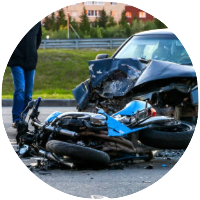 Motorcycle accident attorney Tim has worked with many motorcyclists to get the most for your case.This includes compensation for damages to your motorcycle, injuries sustained as a result of you being hit by a vehicle on your motorcycle. Our law office has the experience and resources, contact us and speak to an attorney now! A Dog bite or attack is nothing to take lightly. Not only the does the physical pain hurt, but the financial burden of medical care can hurt as well. Injuries include stitches, breaking of the skin, infection (rabies/tetanus), penetration of muscle, bruising, scarring, and more. Our law office is available at all hours to assist you with your dog bite case. 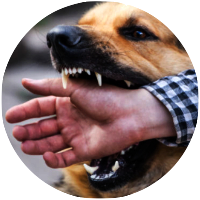 Negligent dog owners should be liable to pay for your misfortune, call our dog bite attorney see if you have a case.